Denis Griffiths 1996 18 72 7151 50 minutes from downtown. Designed by Denis Griffiths, when this magnificent golf course opened in 1996, it attracted the attention of serious golfers who were greatly impressed with the course layout and the unique range of challenges from all tees. Venue for the 1997 Asian Honda Classic, won by Tiger Woods, and the second leg of the 1998 Johnnie Walker Super Tour, won by Vijay Singh. The Volvo Masters of Asia will remain in Thailand in 2008 and make its fourth successive appearance at the Thai Country Club. This demanding championship course will always be found in excellent condition, and its water and sand hazards, is a true test of the golfers proficiency at all levels. 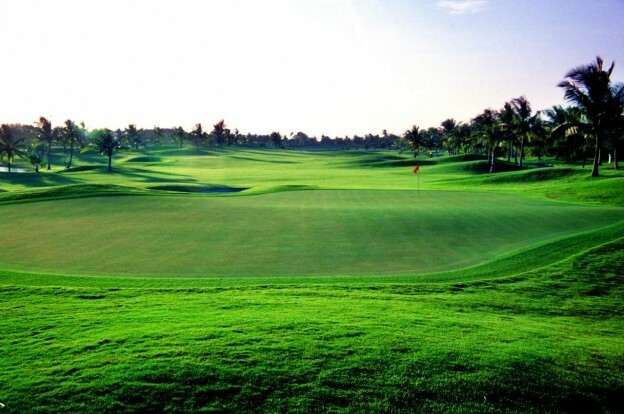 Thai Country Club has earned a reputation for being one of Thailand’s premier golfing venues and is a founder member of The Finest Golf Clubs in the World. The magnificent clubhouse is probably the finest in Thailand with an abundance of facilities and five star dining.